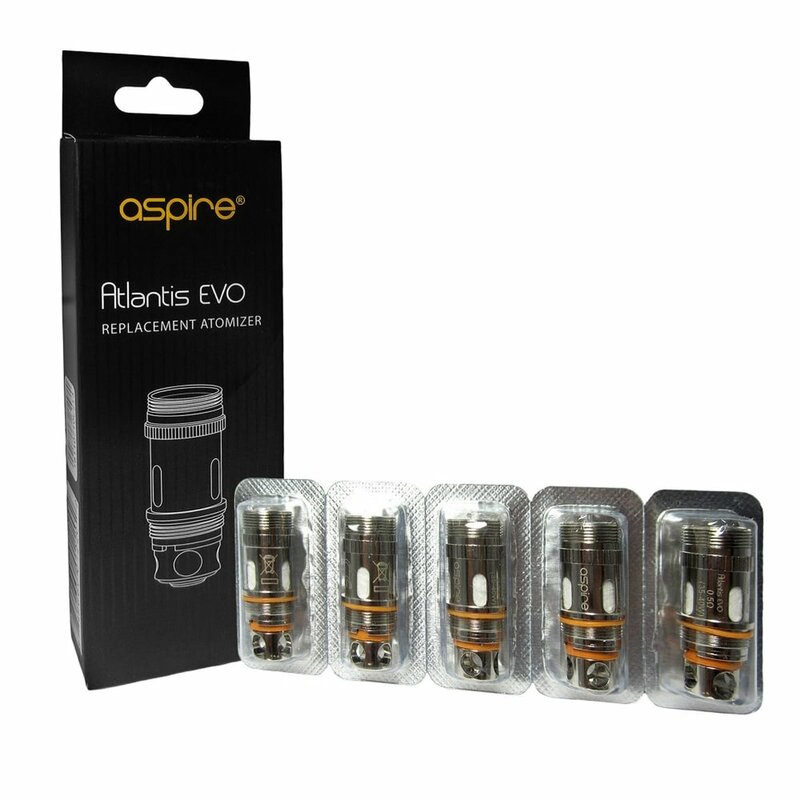 The Aspire Atlantis Evo Replacement coils are Kanthal Clapton coils with resistance 0.4ohm and 0.5ohm. Having coil options enables the EVO to achieve your preferred taste requirements when using a wide array of E-liquid flavors. 0.4Ω coils have larger airflow for greater vapor production and balanced flavor. 0.5Ω coils produce a more dense vapor highlighting the flavor differently. Switch between EVO coils as required to ensure you are maximizing your vaping experience. 5pcs each pack. Compatible with Atlantis EVO Tank, Atlantis Tank and Aspire Triton Tank (not Triton mini).